Plug it in, plug it in! 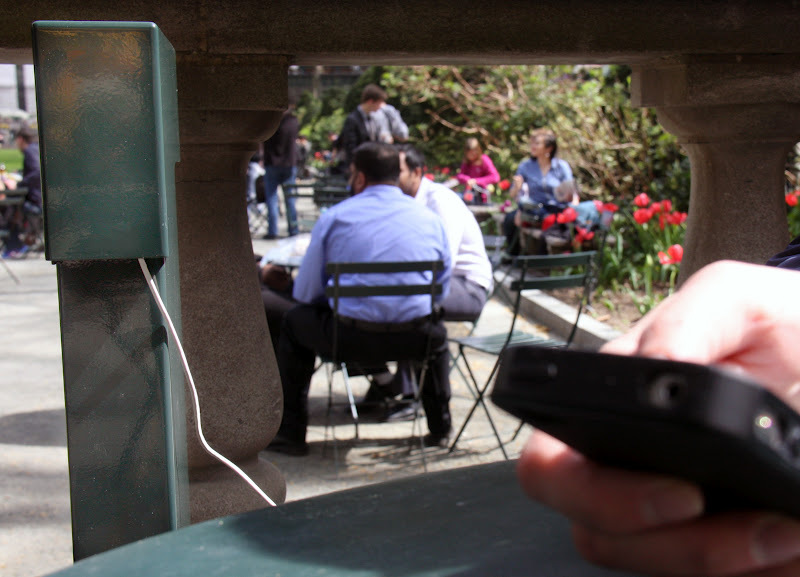 The park was recently outfitted with 42 new electrical outlets for your added convenience. Just locate one of these handy green posts, flip up the lid, and plug in. Help yourself to free power, but remember, the outlets are intended for phones, tablets and computers only. And technically there is a one hour time limit! We're happy to bring you more reasons to stay in the park longer. who was the master that designed these outlets -- He or she deserves recognition!! !